A unique control surface that functions like a Stylophone mixed with an Omnichord. Comes fully constructed! Strum your MIDI gear with the LE STRUM - a unique and expressive MIDI controller! 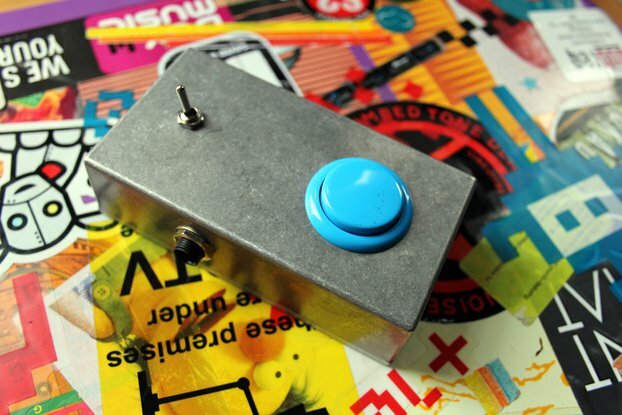 Connect it to your MIDI instrument or computer, hold down a chord, then use the stylus to play MIDI notes by touching the contact pads on the board! . LE STRUM's 36 chord buttons give you immediate access to 84 different chords (maj, min, dom7, maj7, min7, aug, dim for 12 root notes). You can also play sus4, add6 and add9 chord variations. It's great for learning about chord progressions and finding chords to match your track! Please note that synthesizer hardware or software is required to make sound. 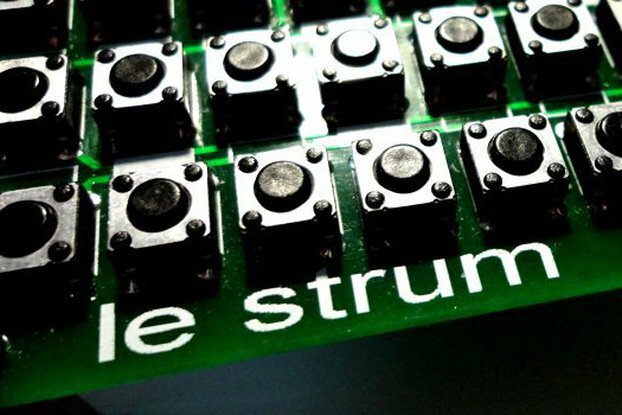 LE STRUM is a MIDI controller and does not make any sound by itself! Arrived really quickly in two days even during pre Xmas rush and works great to control synths through midi in new ways, excellent!!! Le Strum is an ingenious idea, executed perfectly. With the right synth/patch, it can really nail the Omnichord sound. Midi autoharp for every keyboard: what's not to love? Wow! I love this little synth. I was searching for a way to mod an omnichord that would allow maj7 chords and stumbled across this instead. So glad I did! This thing has so many more features than I realized and it really opens up MIDI into another dimension. The product itself is well-made and shipping was fast. Now I’m working on schematics for a modded le strum and I will be purchasing another le strum board. I used a Roland UM-ONE MK2 to connect this to my computer and it worked perfectly. Definitely recommend! Got it with the stand (which took maybe 10 minutes tops to build). Really enjoy using it with my minilogue. Surprisingly playable once you get the hang of it, and highly portable for a musical sounding MIDI controller. It's just awesome, hook it up to a proper synth and it sounds like a dream instantly. Thabks for the proper shipping and packing. Fantastic product, speedy delivery and great, simple packaging! It's perfect for controlling my Streichfett string synth. I love Le Strum!